The word "periodontal" means "around the tooth." Periodontal disease (also known as "gum disease," "pyorrhea" or "periodontal infection") is an ongoing bacterial infection in the gums and bone around your teeth. This infection leads to an inflammation under the gums, and if not treated, can destroy the bone around your teeth. This results in tooth loss. Approximately 75% of all adult tooth loss is due to periodontal infection. More importantly, research has associated periodontal infection to several serious medical problems, including heart disease, diabetes and stroke. As ongoing research continues to define how periodontal disease is associated with these and other health problems, oral health maintenance is essential. 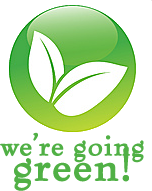 Periodontal health is a key component to a healthy body. 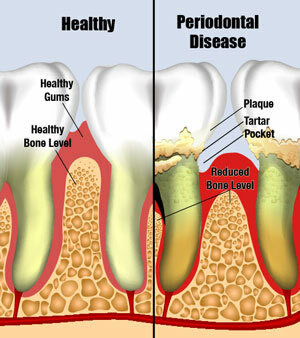 Periodontal disease is an ongoing infection in the pockets around your teeth. You cannot fight off the infection alone. With periodontal therapy, we are able to remove debris and bacteria from the site allowing the gum to heal as your hand had. We perform yearly periodontal evaluations when you come in for your check up. When your infection has a burst of activity, or when there are signs that this is about to occur, Dr. Ho may recommend you see a periodontist. If you notice any of the above warning signs of periodontal infection, please contact Dr. Ho and ask for a periodontal evaluation. Important Note: Your gums can look and feel quite normal and yet deep pockets of periodontal infection can still be present. To be certain about any periodontal disease, ask your dentist to examine your gums for signs of infection.